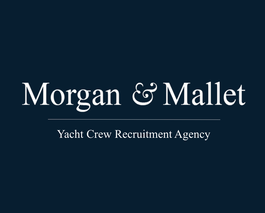 Morgan & Mallet Yacht Crew Recruitment Agency is a privileged partner of Family Offices and Yacht Managers. We listen to the needs of yacht owners and are ready to satisfy them, and are recognised professionals in the yachting industry. Our mission is to recruit the best candidates for your yacht. We accompany and advise family offices and management companies on crew composition, contracts and organisation on board to ensure permanent five-star service. Our objective is to make the recruitment process fast and transparent. Our recruiters will be entirely dedicated to you and we will carry out recruitment according to the needs of the yacht under your management. We recruit personnel in any part of the world and strictly maintain confidentiality. Over the years, Morgan & Mallet Yacht Crew Agency has developed an extensive network of contacts with candidates and yachting professionals. Moreover, thanks to our strong presence on the Internet, we have over 10,000 registered candidates with references, 3,000,000 individual users and we make more than 300 placements per year.